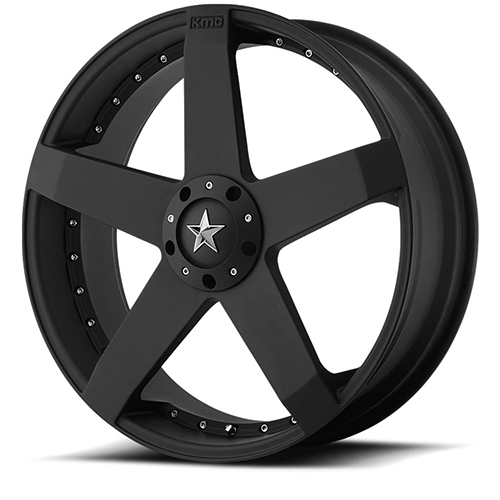 You can buy the Rockstar by KMC Wheels XD775 Rockstar 17x7.5 Blank - Custom Drill 42 Offset 72.60 Hub Matte Black wheels from All Star Motorsports at some of the lowest prices on the internet. The Rockstar by KMC Wheels XD775 Rockstar 17x7.5 Blank - Custom Drill 42 Offset 72.60 Hub Matte Black wheels are available in a variety of sizes and finishes. Clean styling and quality design make for a powerful presence when riding in style. Quality craftsmanship, precision paint and masterful machining are some of the aspects that make these wheels the perfect option for your wheel purchase. Combine these wheels with any of our vast variety of tires for a complete All Star package. Included in our packages are free mount & balance, free lugs, free locks and free hub rings. Need tire pressure sensors? We offer those for an additional fee. All we need is your vehicle information and in rare occasions, your vehicle identification number (VIN code).